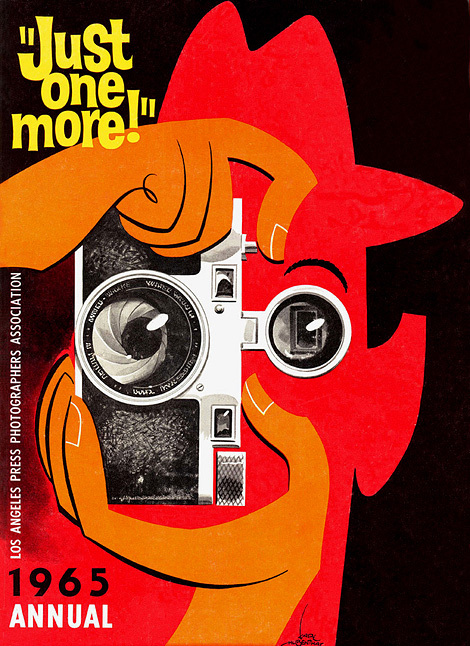 Just one from a collection of fantastic cover illustrations for the Los Angeles Press Photographers Association annual publication titled Just One More! Created by the award-winning sports and editorial cartoonist Karl Hubenthal (1917-1998 who illustrated the covers for Just One More from its inaugural issue in 1954 until 1968. You will always exist in the universe in one form or another.